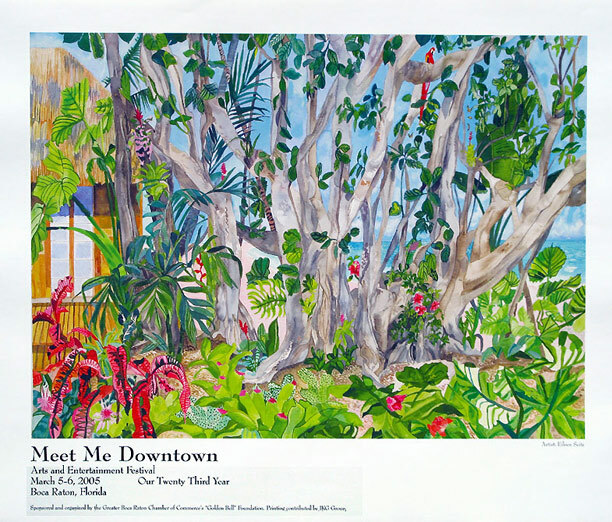 “Chickee under the Banyan” was selected as the Meet me Downtown Art Festival 2005 Poster. That summer Hurricane Katrina and Wilmas winds took down alot of Banyan trees in this area of Boca Raton. So the poster was a reminder and tribute to the trees that once lived in this neighborhood.